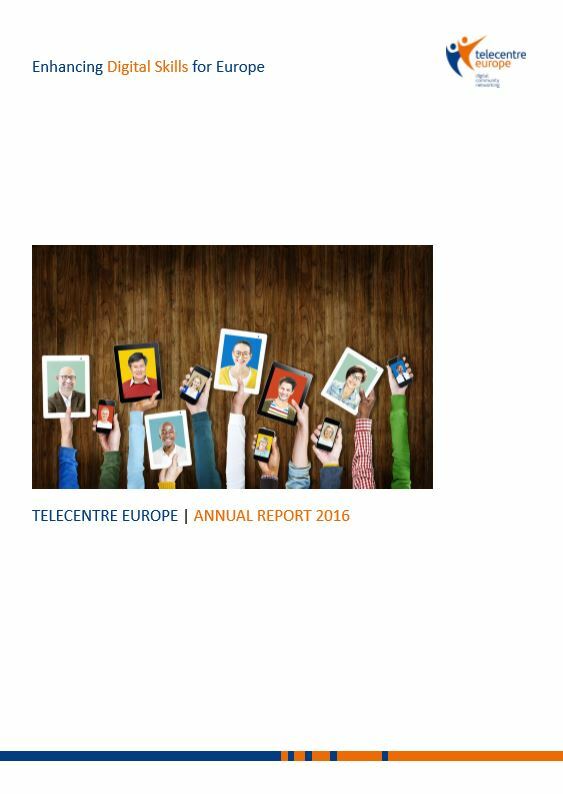 Telecentre Europe Annual report for 2016 was presented to members at TE General Assembly on 9 March in Brussels and was approved together with financial documents. The report summarises 2016 in numbers and covers topics from strategic organisational priorities, improving services to members, and influencing public policy to new partnerships, campaigns, events, and projects. Policy and advocacy wise, in 2016 Telecentre Europe reinforced its position as an expert on digital skills and inclusion in policies, networking, and implementation strategies. Telecentre Europe saluted the launch of the New Skills Agenda for Europe, that recognizes digital skills as basic skills, together with numeracy and literacy. In relationship to the Skills Agenda, we actively contributed to the Coalition for Digital Skills and Jobs Secretariat, where our role is to support European Commission on setting new National Coalitions. Also, we have been proactive in contributing to developments regarding the DIGCOMP 2.0 framework, and to the new Upskilling pathways initiative, guaranteeing digital skills for low-skilled adults.